ASUS has published a list of its upcoming motherboards powered by Intel’s yet-not-announced Z390 chipset. As expected, the company will offer several families of platforms featuring over a dozen of models aimed at different market segments and supporting different features. ASUS intends to offer Intel Z390-based motherboards across five families of its products. 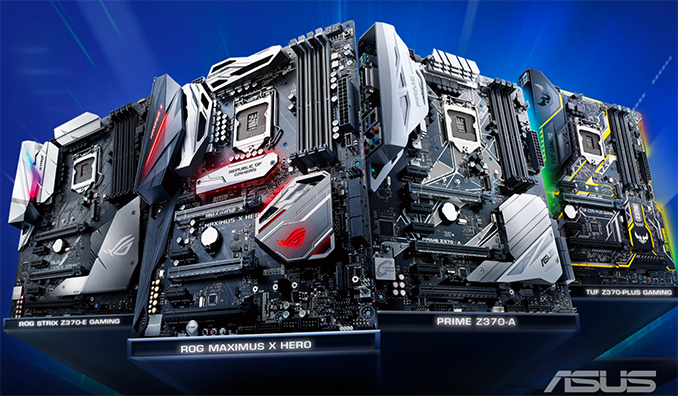 The top-of-the-range Z390 offerings aimed at enthusiasts and overclockers will be marketed as the ROG Maximus XI series. For gamers and enthusiasts ASUS will offer four ROG Strix Z390 mainboards in different form-factors. For gamers with lower budgets the company will release eight Z390 motherboards under the TUF and Prime brands. In addition, there will be a single Z390 Dragon mainboard that will be available only in China. The list of ASUS motherboards was published in a description to a new BIOS feature that was introduced on July 23. 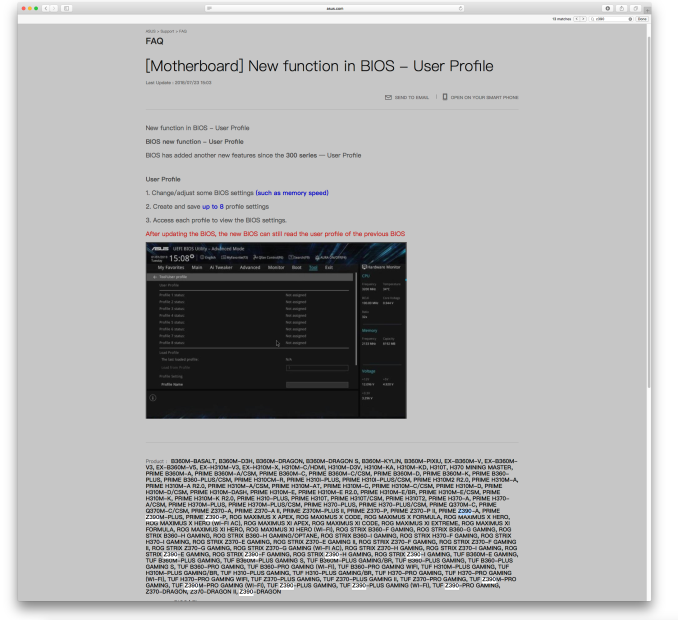 The advertised BIOS feature enables to create user profiles in BIOS and therefore better tailor PCs for particular users or use cases. The capability is supported not only on the upcoming Intel Z390-based motherboards, but also on existing Intel 300-series platforms from ASUS. The fact that the world’s largest maker of motherboards accidentally publishes the list of its Intel Z390-based platforms indicates that the product family has been formed and the company is probably nearly ready to ship the products. Meanwhile, it is highly likely that Intel will launch its Z390 chipset along with its upcoming eight-core Coffee Lake processor*, so it is going to take a while. *Unless Intel decides to repeat its 2014 launch tactics and release its new enthusiast-class class chipset a month ahead of a new enthusiast-class CPU (Z97/H97 were released in early June, whereas the Devil’s Canyon CPUs were launched in late June). The rationality of such tactics poses questions because Intel’s upcoming eight-core chips in LGA1151 v2 packaging are likely to be supported by various Cannon Point-based chipsets. Both the Impact m-ITX and Gene m-ATX have been MIA since Z170. Very disappointing as they were teo of the highest end in their size class.